What’s the crime rate in your state or city? 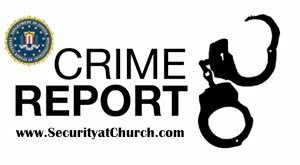 It is helpful to know statistics for the area that you live in and also for the area that your local church or facility is located. I came across a website today from a company called Protect America. Protect America offers a link to see statistical criminal information for your state. This information includes. They use data collected from The FBI's Uniform Crime Reporting (UCR) Program. From that data, they have provided a simple grading system so you can see how your state is doing quickly and easily. To calculate each security grade, they use a custom mathematical algorithm based on the per 100k ratio and rank compared to other cities.